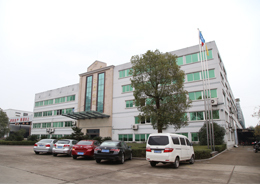 YONGKANG SANXING DOORS CO., LTD was founded in 1998, has now developed into an area of 120000 square meters, staff 668 people, with an annual output of security door, fire door door, wood door 700000 100000 sets of large domestic industrial categories and export base. 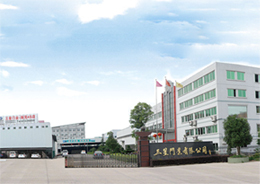 In 1998 Sanxing door to enter the security door industry, along with China's urbanization process continues to advance, the commodity house and guarantee the continuous development of housing, manufacturing base plus the company good, the company production and sales each year to 30% of the speed of steady growth. In 2006, Sanxing door first entered the Yongkang's top 100 tax, after successive years was awarded the Yongkang top 100 enterprises, the superior industry backbone enterprises, large taxpayer, the contract Shou Credit units, AAA enterprise, credit enterprise. In addition, the company has been rated products A Well-Known Trademark in China, Zhejiang regional brands, Jinhua famous brand, the company has passed ISO9001:2008 international quality system certification, Chinese environmental mark product authentication, identification of national high-tech steel engineering research and development base, in 2010 was awarded the "clean production enterprise" title, in 2012 was named the "anti-theft door industry consumer trustworthy ten brands". 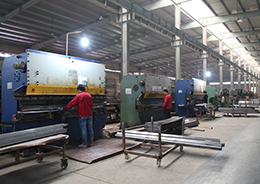 At present, Sanxing door has complete production of steel, wood, steel and wood and other materials and different production process production line, the formation of class A, B, C, D level anti-theft security door, Grade A, class B, class C fire door, paint free, solid wood, solid wood composite door such as a full range of products, which can fully satisfy market demand at home and abroad. Sanxing door sales outlets located in the national 29 provinces, city, municipality directly under the central government, agency many 2000, strong brand publicity advantage and perfect after sale service system and reasonable price, so that products can be sold throughout the. Sanxing door the spirit of "quality is the life of enterprise, service is the guarantee of enterprise, the brand is the core of the enterprise" concept, give full play to the specification, scale, technological advantages, continuous innovation, dedication to provide novel style, beautiful appearance, stable performance, convenient installation security, Home Furnishing products and meticulous customer service service to customers. 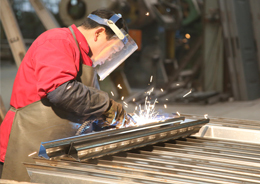 The pursuit of excellence "values in the" create value, lead, Sanxing door will struggle through continuous truth-seeking, dedication, and further activate the enterprise evergreen factors, become a cohesive people, outside the door industry leader China toes. Sanxing door through the efforts to expand its industrial strength, technical strength and talent strength gain good economic benefits at the same time, the organic unification and always maintain the economic benefit and social benefit. With a high degree of trust, for the enterprise staff to design the best development path; to highly service sense, to provide the best service for customers to ensure, highly motivated, and create the best investment environment for the shareholders, with a high degree of responsibility, for social welfare undertakings with maximum sincerity. Set up the Sanxing door morality, pursuit, sincere, good corporate image of the play. Keeping pace with the times, pioneering and innovative, is an inexhaustible motive force of the development of enterprises. Only the innovation, the enterprise can obtain the new point of growth, enhance their comprehensive competitiveness, so as to ensure the sustainable development of robust and efficient. The door for Sanxing build for the competitive dynamic and team cooperation capacity jiyechangqing enterprises, Sanxing people on the basis of seeking truth from facts, always adhere to the concept of innovation, management innovation, technological innovation and service innovation, and continuously forge ahead, with a solid work and remarkable achievements, to seize the opportunities and meet the challenge of the market. Integrity is the foundation of our country, and made people this, is made of the enterprises.Sanxing door Zhejiang businessmen, Jia gentleman uphold and good image of Connaught, "good faith" and two root explants in the corporate culture, and to encourage sublimation through down-to-earth practice activities. For Sanxing, always adhere to the "sincere at heart, the core value of the letter to the line" concept, in good faith to take heart, to win the world in good faith. The brand is the source of efficiency, is the biggest intangible assets in the enterprise development refine the. Under the condition of market economy, the enterprise brand has become the key to win the customers and enterprises to seek long-term survival and development. Sanxing door industry is committed to the pursuit of excellence, excellence and the development of the concept, carefully nurtured, create a corporate brand, take the initiative to grasp the initiative in the market, and guide the direction of consumption, to gain sustainable competitive advantage. Welcome to visit the Samsung door website! Thank you for your care and support of Samsung door! Samsung industry adhere to "create value, the core value of the pursuit of excellence" concept, relies on Yongkang's geopolitical advantage, leveraging the powerful resources of Zhejiang, own strength to continue to grow at the same time, overall car sales, medicine circulation, real estate, tourism development and other business, has become the enterprise group has local influence. As the backbone of Yongkang door, Samsung door to "quality in the heart, in the service of" for oneself, attaches great importance to product quality, to meet customer demand, the industrial chain advantage relying on relatively intact, is committed to providing a novel style, beautiful appearance, stable performance, convenient installation, Home Furnishing security products and meticulous customer service service. In today's world, the external environment is complex and changeable, the market competition is becoming increasingly fierce, the enterprise development is facing more and more severe challenges. How to keep up with the trend in the progress of the times, seize the opportunity to achieve the self transcendence, is each enterprise managers have continued to ponder the question. "As the heaven revolves, the gentleman to unremitting self-improvement. Terrain Kun, the gentleman to social commitment". As an economic organization, the enterprise only by constantly enhance their own value, to achieve sustained progress has vitality. Facing the future, we will continue to accelerate the strategic integration, uphold the concept of innovation, management innovation, technological innovation, service innovation, and strive to grasp the historical opportunities,The door to become Samsung has excellent core competitiveness in enterprise group and industry influence, good return, constant returns to shareholders, customer feedback, the benefit of society! Sincerely hope to work with friends from all walks of life hand in hand together, mutual benefit and win-win cooperation, common progress, to create a more beautiful tomorrow! In 17 years, Samsung door speed rapid development, talent showing itself from tens of thousands of categories in the national brand. In the course of Samsung has won domestic and foreign authoritative department issued by the honor and recognize more than 00?. These honor embedded in each ring in Kincaid, write a cadenza Samsung people "passion beyond the dream"! Login Site map Set home Add to Favorites Copyrights © 2010 YONGKANG SANXING DOORS CO., LTD All Right reserved.